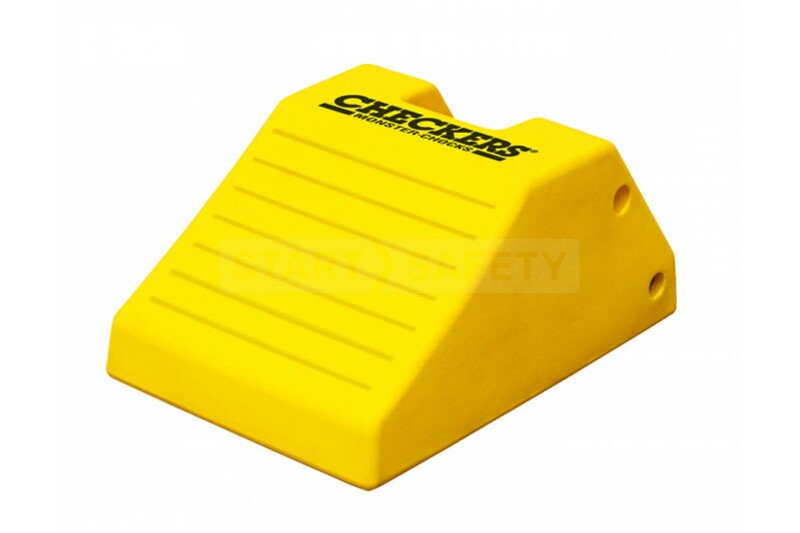 The MC3012 is suitable for vehicles with wheels between 95" and 142" in size, this wheel chock offers lightweight yet incredibly resilient construction; the entirety of the MC series offers a larger base surface area than the AC and UC models from Checkers® giving superior surface grip. As per the rest of the Monster® range the MC3012 is made from UV stabilized Polyurethane that offers a long life span along with weather and chemical resistance. The MC3012 incorporates both a recessed carry handle and holes that allow for fitment of chains, mounting brackets or ropes. Moulded-in ANSI Z535.4 compliant proper chocking guidelines offer a reminder to users on correct chocking procedures.